Health and beauty is currently one of the most affluential markets in the UK, earning an average of 285m per week as of July 2016 with sales forecasts suggesting this is likely to increase at a steady rate until at least 2022. 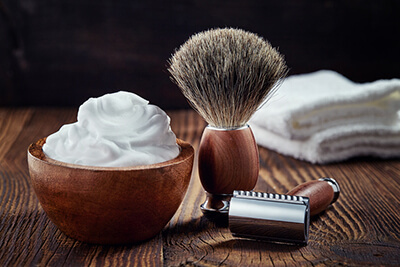 Skincare has been reported as the fastest growing subsector, set to rise by 27.9% within this period. As the industry grows so does the competition. 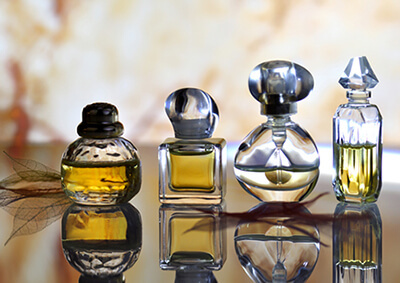 When making perfume or cosmetics, it is essential that your product is commercially viable, on-brand and ultimately well liked in order for consumers to buy your product. Therefore you need to make sure that each fragrance is well blended and consistent. By using a weighing scale to accurately weigh ingredients when creating beauty products, businesses can ensure that each bottle of perfume smells great whilst manufactured skin creams, foundations and oils have the perfect consistency when applied to the skin. This blog post will highlight the importance of weighing cosmetics in the health and beauty industry, looking at what cosmetics are, how they are regulated, why they need to weighed and how to create cosmetics of your own. Cosmetics is an umbrella term used to describe products used to enhance, cleanse or alter the appearance or fragrance of the user. The most common types of cosmetics include foundation, mascara, lipstick, eye shadows, skin cleansers, perfumes and hairstyling products, gels and sprays. Cosmetics are typically created by combining a base water/alcohol mixture with organic ingredients or extracts. Why do I need to weigh cosmetics? When selling commercially, it is a legal requirement that each product holds the same weight as advertised on the container, failure to comply may result fines and damage to business reputation, in this instance you will need to ensure your scale is trade approved. By weighing your cosmetics according to particular formula, you can ensure that all mass-produced cosmetics that are to be retailed fulfil this requirement. Science labs will combine different ingredients to make a recipe for creams, this can then be scaled up for measuring out in a vat and larger quantities. Checkweighing ingredients is recommended and ensures that each product created weighs the same before manufacturing. Some of these ingredients are very expensive and rare substances which cost a lot of money. If they are not measuring them accurately they could be wasting money. IE the benefit of a particular ingredient might not be there if they don’t have enough or might cause harm if they have too much. As any producer of cosmetics will know, most fragrances and creams require an intricate blending of ingredients, too much of one particular element can off-set the entire product which may lead to an unpleasant finished result. Notably, some ingredients are very expensive and rare substances which cost a lot of money. If they are not measured accurately a business could stand to lose large amounts of money through waste. Also, the benefit of a particular ingredient might not be there if they don’t have enough or might cause harm if they have too much. Therefore, it is vital that each ingredient is weighed on an accurate scale – We recommend [calibrating your scale] before use to ensure the most accurate results possible. Specialist perfume scales and cosmetic scales may include built-in percentage weighing features that can be configured to a pre-set weight value to ensure that your blend is perfect every time. In recent years, regulatory bodies have accelerated legislation concerning the production of un-safe cosmetics and how this affects the health of the user. The new legislation has emphasised the need for non-toxic make up and chemical free cosmetic products, as well as more accurate tools in order to measure toxicity levels to ensure they meet health and safety regulations. Currently in the UK, cosmetics are regulated through European legislation, the cosmetics regulation EC. The primary purpose of these laws concern user safety and apply to products intended to be sold commercially or traded. In the US, the Food and Drug Administration (FDA) can approve colour additives used within cosmetic products, however this approval does not extend to the cosmetics themselves. It is the manufacturer’s responsibility to ensure that all cosmetic products for sale meet customary conditions of use or label directives. This list provides a general guideline on how to use the percentage weighing feature for making perfume. Please note that the following process is subject to the type of weighing equipment and apparatus used, and therefore results may vary. 1) Firstly, ensure your weighing scale has been fully calibrated (see our article on correct scale calibration for more information). 2) Set the weighing units you wish to use (grams, milligrams, litres etc). 3) For the perfect formula: Calculate the total amount of perfume required and divide this by the number of bottles to work out the amount of perfume per bottle e.g x ml ÷ x bottles = x ml per bottle. If looking to make a certain number of bottles, it is recommended that you make more perfume than needed to allow for accidental spillage. 4) Next, think about the composition of the perfume (ratio of fragrance to alcohol mixture), Eau de parfum typically has a range of strengths for example, if your recipe uses 10% fragrance strength and 90% alcohol mixture this will mean that you will need 800ml of fragrance and 7200ml of alcohol mixture (alcohol to water blend). 5) Once calculated, divide the weight by the number of bottles for a ratio of fragrance per bottle. 6) Select the percentage weighing mode on the scale. 7) Using the formula above you can either work with the total fragrance weight or weight per bottle. Per bottle: Set the value in millilitres as 100% of the fragrance per bottle and weight out the individual components according to their percentage until you reach a total of 100%. Per Total: Set the value in millilitres as 100% of the fragrance per total amount of bottles, then weigh out each ingredient according to percentage until they reach a total of 100%. 8) Once finished, leave the fragrance to blend for up to 4 weeks, this may take less time depending on the ingredients used and conditions. 9) After this time, test this by smell, if ok, add the alcohol mixture and leave to sit for around the same length of time. The values used here are just examples of how this process may work, however, this type of formula can be adapted to suit any total weight, number of bottles and weight per bottle. Precision balances and scales are highly practical weighing machines offering a wide range applications including density determination, percentage weighing and parts counting. Precision scales typically feature higher readabilities than other types of weighing scale (up to 0.001g precision). Recommended for blending complex, liquid-based cosmetics such as fragrances, essential oils and perfumes. Weighing scales with built in check weighing features are ideal for measuring ingredients before dispensing into bottles or vats. Checkweighing ensures that the right amount of ingredients are used for each product and feature LED coloured checkweighing lights that display and audible alarms that alert the user when too much or too little has been placed on the scale. Moreover, having a different amount of product within a container than what is advertised on the label can is illegal and can risk fines and damage to business reputation. 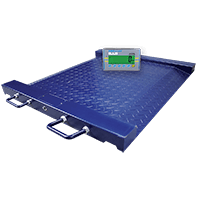 Platform scales are typically used on warehouse floors for weighing larger containers and products. Industrial platform scales can be used to weigh gallons of cosmetic products in large batches before manufacturing into commercial products to be sold in supermarkets, health stores and hair and beauty salons. Compact balances are low-cost, portable and easy-to-use scales for simple weighing tasks. They are highly reliable and built-to withstand spills and accidental damage and can be used for accurately weighing ingredients such as herbs and organic materials. Moisture analysers are perfect for testing the moisture content within soap, lotions, serums and skincare creams. In order to test, simply place the specimen within the heating chamber and apply heat to the sample using the built-in halogen lamp. Once heated, liquid will evaporate from the sample and the analyser can calculate the total amount of moisture content in the sample from the moisture weight loss. See our article on how to determine the purity of coconut oil for more information. WBZ washdown scales feature durable ABS housing, sealed keypad and stainless steel weighing pan for easy cleaning after weighing messy ingredients. This scale has a compact design in order to fit easily on counters and workbenches. WBZ scales are fully trade approved for selling cosmetics commercially. SE Washdown scales manufactured by A&D, SE scales feature durable stainless steel construction for easy cleaning after use. The SE range also comes complete with checkweighing functionality and trade approvals, perfect for selling cosmetic products commercially. A&D’s EW-I range of precision balances are trade certified and feature chemical-resistant stainless steel weighing pans for handling base ingredients, oils and serums. The EW-i includes parts counting and percentage weighing features. Highland approved balances are compact, portable weighing scales with a wide variety of weighing features including parts counting and percentage weighing. The Highland is typically used to weigh soaps and skincare products. Adam Equipment’s PMB moisture analyser features a compact design with halogen heating for accurately measuring moisture content in samples. In cosmetics, the PMB can be used for determining the optimum moisture consistency in skin creams, oils and gels. Adam Equipment’s PTM drum scales combines rugged construction with large weighing capacities and platform sizes. Ideal for weighing vats of cosmetic products in production, laboratory and manufacturing facilities.